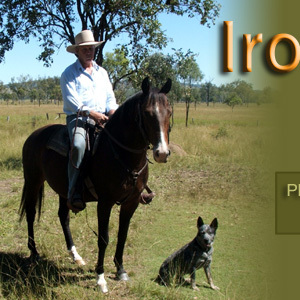 Ironbark Stockwhips continues the long Australian tradition of crafting fine stockwhips. Working with Australian kangaroo hide and redhide, Whipmaker Dennis Cherry practices a skill which began in the latter half of the nineteenth century as the cattle industry expanded. Early whipmakers discovered that kangaroo hide was an outstanding material for producing whips, being ideally suited for the harsh Australian conditions. There are now relatively few professional whipmakers producing quality whips in this country. Ironbark Stockwhips fills this niche with products ranging from basic 4 plait whips to complex 16 plait kangaroo-hide stockwhips. Other leather products, such as bridles and reins, are also custom made to order. With over 30 years experience in the business, Dennis is in a unique position to understand the needs of his customers. Orders can be shipped anywhere in the world, and all work is guaranteed against faulty workmanship. Click HERE for more information on whips.